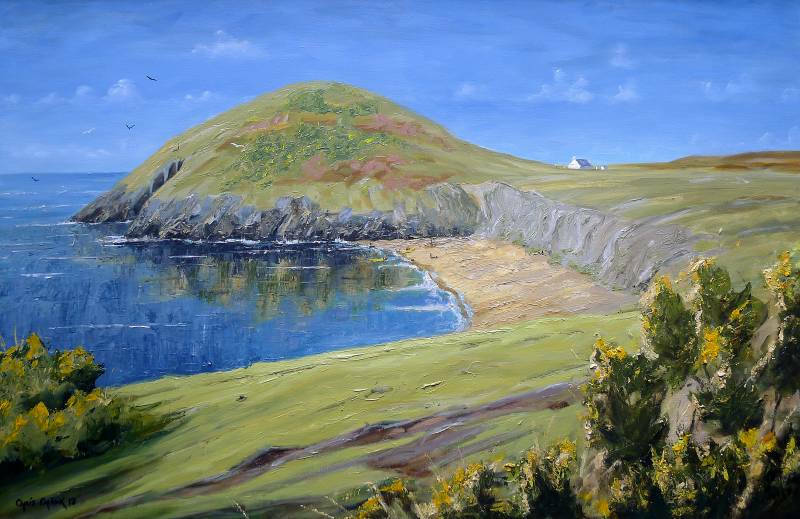 A beautifully colourful painting of Mwnt, here in Ceredigion. Mwnt is one of my favourite beaches for Dolphin watching, and if you sit by the old lime kiln and watch the waters off of the point, it rarely disappoints. There are Atlantic Grey Seals here too, although I'm never quite sure if I'm watching them, or they're watching me. Oil on canvas: 36" by 24"